The DVD features five films written, produced,photographed, edited and directed by William Raban: Thames Barrier, Fergus Walking, A13, MM and the acclaimed Thames Film, filmed from a boat drifting downstream and narrated by actor John Hurt. The films show Raban's continuing explorations of the formal properties of film itself and his immediate surroundings: East London and the River Thames. 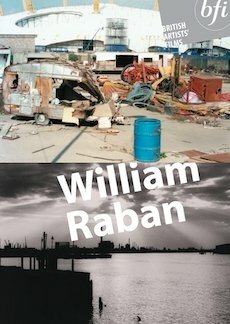 DVD extras include theFrame � William Raban (2003) (29 mins) William Raban talks about the inspiration behind his work and some of the techniques involved. Illustrated by clips from 12 films. Accompanying the DVD is a 20-page illustrated booklet containing film notes and a bibliography.